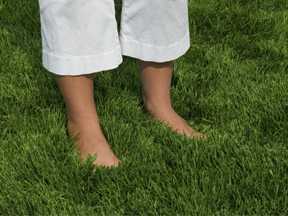 Zoysia grass is a great solution for low-maintenance lawn care. But occasional upkeep is necessary, but not difficult. Although mowing is less frequent with Zoysia, cutting your lawn can help it looking healthy and lush. It is important to give newly planted plugs the time they need to establish. With that being said, you should NOT mow newly planted plugs for at least one month. 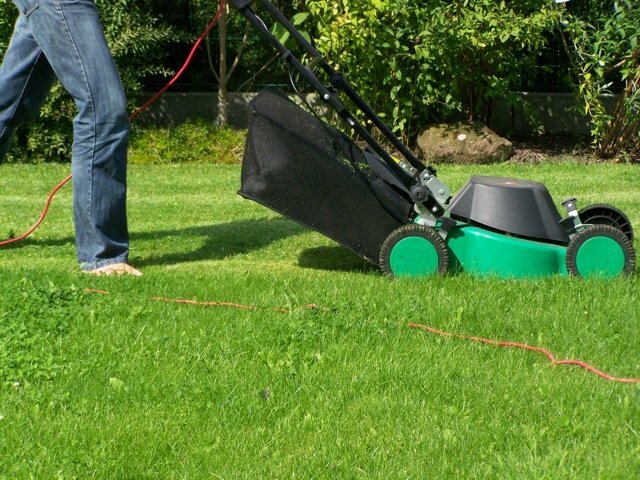 After green growth is apparent, cut the grass at your highest lawn mower setting for the first few times. Be sure to use a sharp rotary or reel mower. Amazoy’s slow growth rate and spreading process really helps decrease the amount of mowing you have to do. Ordinary grasses require mowing about once a week, whereas our Amazoy zoysia requires about once a month, if that! But when you do have to mow, there aren’t any secret tricks. While Amazoy can be cut below one inch, the mowing height of two to three inches is much preferred, and ensuring that the blade is sharp will make a lawn look its best. A good rule of thumb is to never remove more than one-third of the leaf blade. 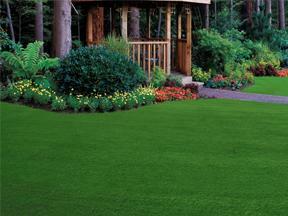 Zoysia’s low maintenance upkeep allows you more time to enjoy your lawn and less time working on it.